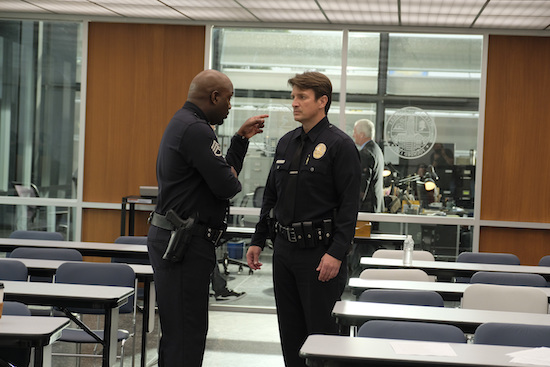 ABC’s take: “Starting over isn’t easy, especially for small-town guy John Nolan who, after a life-altering incident, is pursuing his dream of being an LAPD officer. As the force’s oldest rookie, he’s met with skepticism from some higher-ups who see him as just a walking midlife crisis. If he can’t keep up with the young cops and the criminals, he’ll be risking lives including his own. But if he can use his life experience, determination and sense of humor to give him an edge, he may just become a success in this new chapter of his life. Will you be checking out THE ROOKIE on ABC? Fun, a TV should be fun to watch. Castle was often fun because Fillion is a very strong comedic actor. Granted you can’t tell that much from a trailer, but this show does not look like it will be fun to watch. It seems drama heavy and over earnest at that. It does not seem to play to Fillion’s strength. Still, I’ll give it a try because he was so good in Castle.